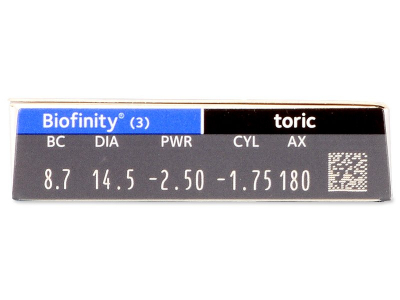 Biofinity Toric contact lenses are available in a pack of 3 lenses for the correction of astigmatism. They feature the innovative Aquaform technology for enhanced moisture and comfort. Biofinity are approved for extended wear. Biofinity Toric are produced by CooperVision for the correction of astigmatism. This package contains three lenses. We also offer a larger package of six Biofinity Toric contact lenses. 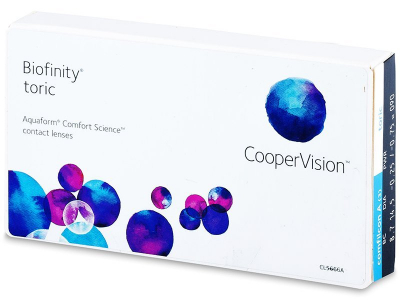 These soft, toric contact lenses are a particularly successful product by CooperVision, not only in terms of comfort and health but also in terms of optical properties. 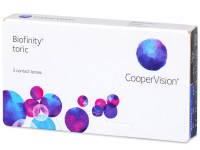 Biofinity Toric contact lenses are intended both for daily and overnight wear. They are also suitable for extended wear for up to 7 days and 6 night without removal. However, this type of wear must be recommended by your eye-care specialist after a thorough examination. 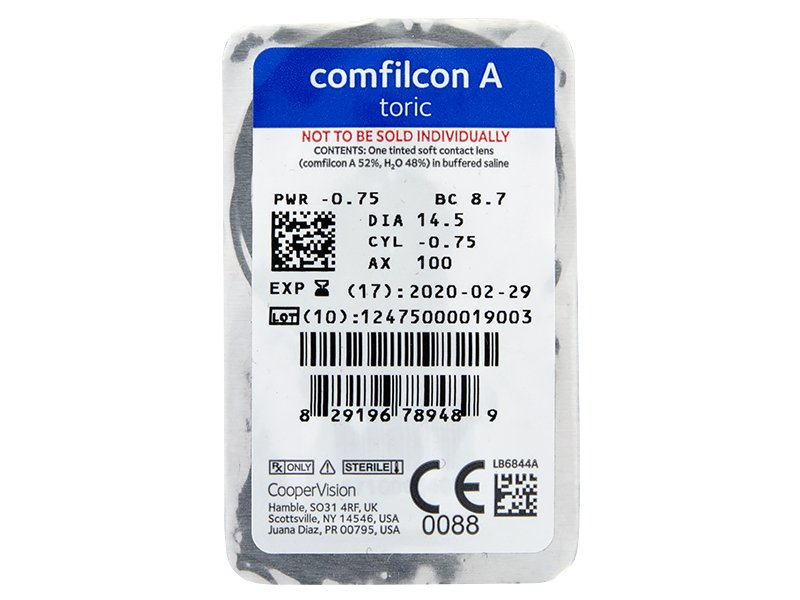 Biofinity Toric contact lenses ensure sharp vision, and the new material Comficon A, combined with the brand's patented Aquaform technology, provides exceptionally high oxygen permeability (116 Dk/t). Ordered Lenses on Saturday, showed as in stock and would be shipped on the Monday then after placing order and paying I then received an email on the Monday stating they were not in stock and would be seven days to order into stock. I was going on holiday the following Saturday so not at all impressed. Would have thought nowadays it wasn't hard to keep your website up to date. Don't know about lenses but would not use site again. 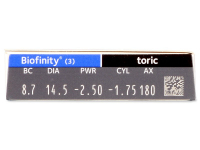 Wonderful to find Biofinity toric for cheap online. My toric lenses have always cost a fortune from my optician. 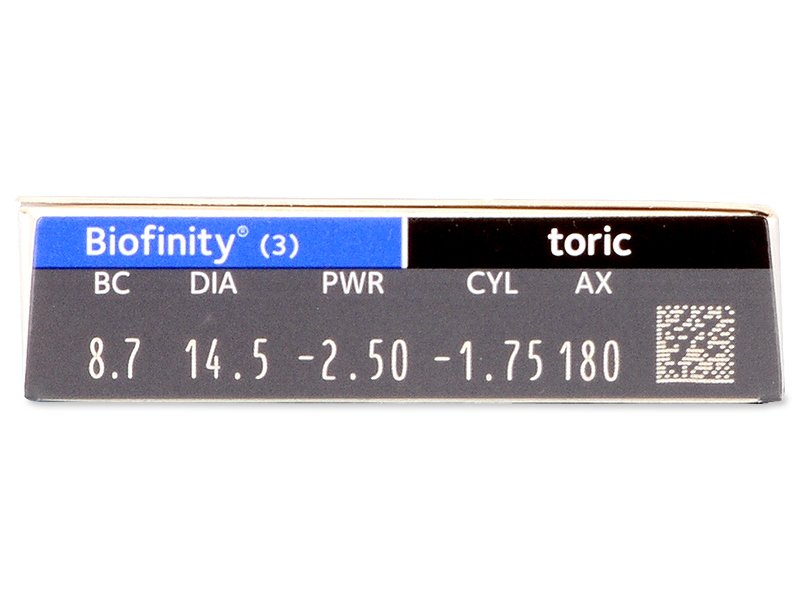 Definitely the lowest price for Biofinity I've found online. They're perfectly comfortable for extended wear, too. Agreed. Very smooth process, and the lenses arrived just as expected. Excellent on-line shop, fast delivery! You guys have my repeat custom.